The HP Chromebook x360 14 G1 - 6BV87UA#ABA - 16GB/64GB is a convertible Chromebook that’s best built for business. It has a 360-degree hinge, powerful audio by B&O PLAY, backlit keyboard, and diamond-cut touchpad. 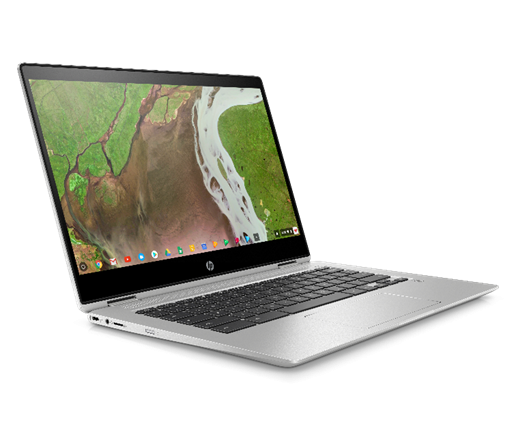 The HP Chromebook x360 14 G1 has a 14-inch narrow-bezel touchscreen display. 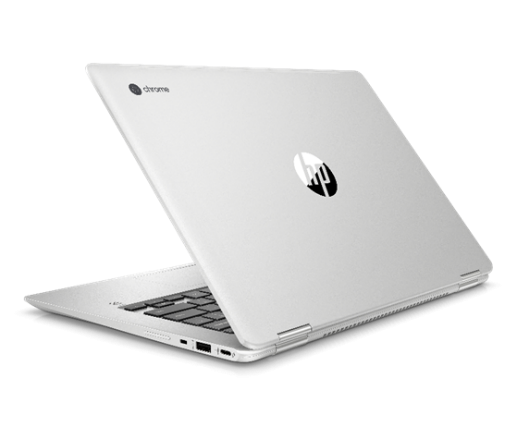 The HP Chromebook x360 14 G1 - 6BV87UA#ABA is powered by a Intel Core i7-8650U 1.90 GHz processor and 16 GB of RAM and 64 GB of storage, so it can effortlessly multitask. 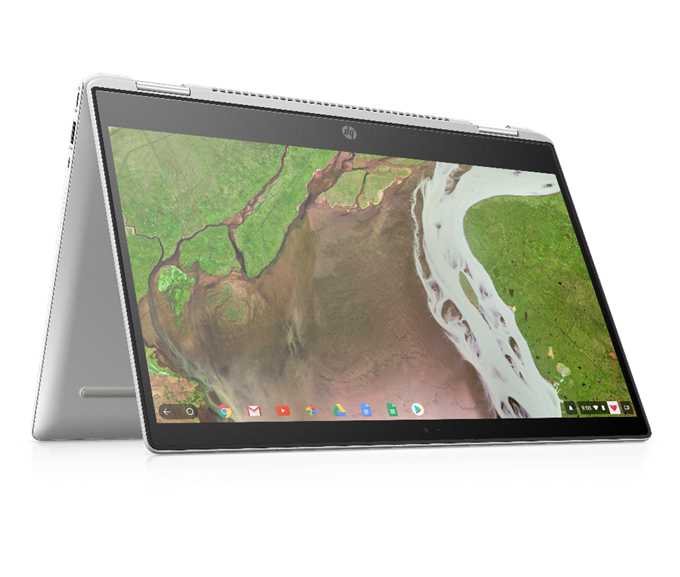 The HP Chromebook x360 14 G1 also comes with 2 USB 3.1 Type-C ports and 1 USB 3.1 port so you’ll be ableto stream videos and charge your device faster than ever before. Designed to dazzle however and wherever you work Set a new style standard with the beautiful silhouette of a silver, 16 mm thin Chromebook™ with an aluminum cover and keyboard deck, diamond-cut touchpad, and narrow-bezel touchscreen display. Work easily in low light with the backlit keyboard. Find your sweet spot: Adapt to any setting, project or presentation with a 360° hinge that flips and folds the Chromebook™ into notebook, stand, tent, and tablet modes so you can type, touch, and capture to your heart’s content. Work without worry on the secure and low-maintenance Chrome OS™, which has multi-layered safeguards, continuous automatic updates, virus protection, sandboxing, encryption, and verified boot. Make the most of your media and virtual meetings with powerful Audio by B&O PLAY and an integrated front-facing Full HD webcam. Display & Graphics:	Intel UHD Graphics 620, 1920 x 1080, 14"
Physical Characteristics:	8.93", 0.63", 3.7 lbs, 12.81"